Undergraduate Shannon Ladnier with her award. Students from the University of Mississippi Legal Studies Department recently traveled to the 2017 Academy of Criminal Justice Sciences in annual meeting in Kansas City, Missouri. 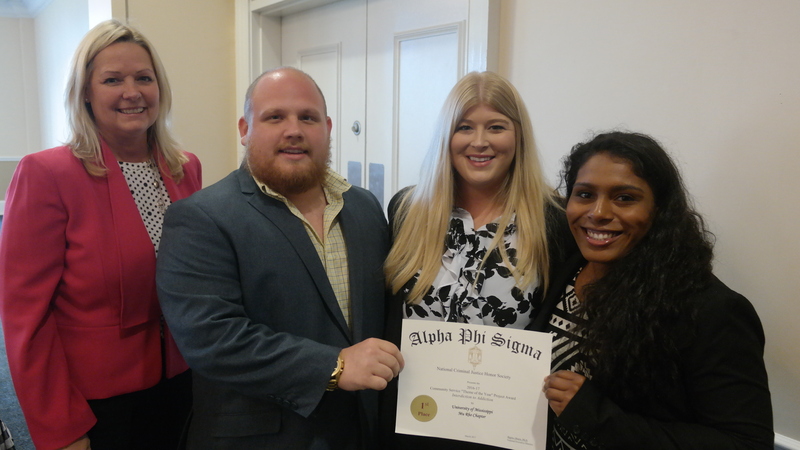 Alpha Phi Sigma is the national honors society for Criminal Justice, and several students from the UM chapter of the society, Mu Rho, presented papers and projects at the conference. The hard work earned UM students several awards for their research. In the Lowering Recidivism panel, Emma Burleson, a graduate student in the Master of Science in Criminal Justice program, presented her paper “Rewiring the Anger: New Responses in the Therapeutic Community.” The paper earned her the Second Place Scholarship Award in Alpha Phi Sigma’s Best Graduate Paper Competition. 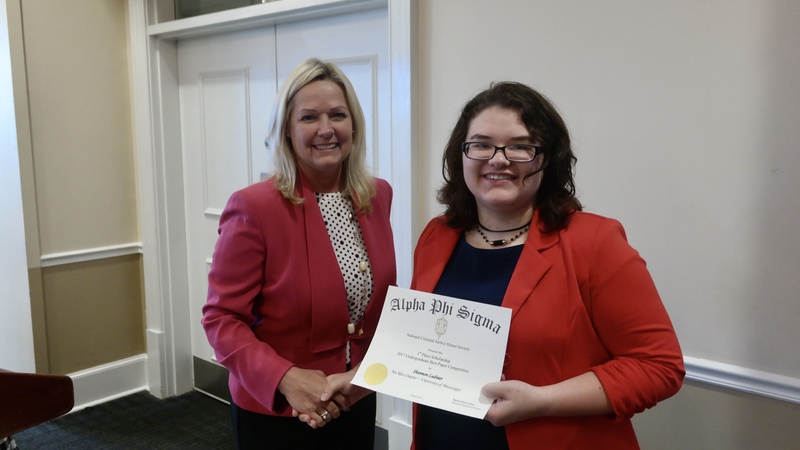 Shannon Ladnier, an undergraduate in the Criminal Justice program, won the First Place Scholarship award in Alpha Phi Sigma’s Best Paper Competition at the conference. 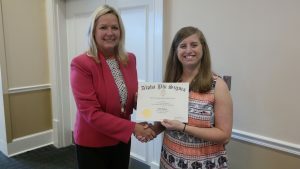 Graduate student Emma Burleson presented with her award. 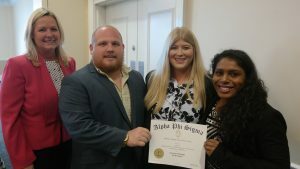 And Mu Rho, the UM chapter of Alpha Phi Sigma, was awarded the 2016/2017 Community Service Project Award for their “Interdiction to Addiction” project. Congrats to all of our students!